Dentists have unique legal needs that require a specialized legal approach. That's why we're dentist focused. Salt Lake City, Utah dental attorney working with dentists throughout Utah. As a Utah dental law firm, we know the dental business. We'll help protect your interests when buying or selling a dental practice. As expert legal counsel, we'll ensure your purchase documents are favorable. And as experienced negotiators, we'll maximize your value while minimizing your risk. As a business, your practice has business law needs. We'll advise you when leasing real estate or dental equipment. We'll ensure you've got the right business structure and proper employee agreements. As Utah dental attorneys, we understand insurance and health care laws (like Utah regulations and ACA). And we'll help you with compliance, billing, and collections. After years of practice, you've likely built a considerable estate. Protecting it now protects your family's future. As Utah dental attorneys, we know how to best protect your dental assets. We'll help you with your tax and estate planning to ensure you and your loved ones have security and stability. It's your biggest transaction. We'll ensure it goes smoothly. For many doctors, buying a Utah dental practice is the start of something great. If your transaction is sound, you'll have a wonderful future as a dental practice owner. And with that comes prosperity and financial success. But if you don't protect your interests, you'll confront financial loss, legal liability, and profound business stress. As Utah dental attorneys, we'll protect your interests. We'll ensure that when you buy a Utah dental practice, you do so at the right terms in the right way. It's a complex transaction, but as Utah dental attorneys, we'll make your purchase simpler and much smoother. If you're looking at a Utah dental practice, you probably have questions--we have answers. Contact us and we'll give you a free overview of the purchase process. You've worked hard, build a great Utah dental practice and now it's time to sell and do something new. As a Utah dental practice seller, you're likely hoping for a qualified buyer and a straightforward sales process. You're probably also concerned about your staff, patients, and future obligations. It's a big time. And selling a Utah dental practice is a big transaction. We'll help simplify the sales process and limit your risk. We'll also make sure your sales agreement protects your rights and provides the best future for your staff and patients. Contact us and we'll answer your questions at no cost. Why hire a Utah Dental Attorney? Too many doctors assume that any good attorney can represent them in their specialized transactions. Certainly, any good attorney is better than no attorney. But you wouldn't hire a podiatrist for an eye problem. Attorneys are no different. If you had a criminal issue, you'd hire a criminal defense attorney. As such, if you're buying or selling a Utah dental practice, you should hire a Utah dental attorney who understands the dental practice acquisition process. We're Utah dental attorneys. We know the process of buying or selling a Utah dental practice. Call us and we'll help ensure your practice sale or practice purchase is simple and successful. A practice's foundation is its people. Build yours correctly. Forming a partnership can be a wonderful practice-building step. Partnerships can give you financial and moral support, which is especially important for new doctors. Through partnerships, you can share overhead and minimize each doctor's fixed costs (the costs like real estate that all practices incur). Equally important, partnerships can provide you life balance--think vacations and time away. But forming a partnership is legally complex. We can help you know whether a partnership structure is best, and if so, we'll draft your agreement to factor your goals and Utah's partnership laws. We can also counsel with you about the best ways to end a partnership and protect your assets. Contact us to talk through your Utah dental partnership goals. Dental associateships make sense on a lot of levels. They can increase practice production, which can be a great benefit to the owner. Dental associateships can also provide the practice with a talented doctor who can buy-in or acquire the dental practice in the future. For new dentists, associateships can be a great source of experience and position the dental associate to establish or purchase his/her own practice when the time is right. When establishing a dental associateship, the owner must determine if the associate should be an employee or independent contractor (which bring different legal rights). The owner must also determine when and how to pay the new associate (which presents tax implications). Yes, it's complex. But as Utah dental attorneys, we'll help you make the best choice. Contact us to talk about your Utah dental practice growth. Hiring employees is a common occurrence for Utah dental practices. Employees bring greater production and help you do what you do best. However, when a dental practice hires an employee, it also adopts the associated employment issues. For instance, a Utah dental practice must ensure that the front-office employees handle billing correctly while the back-office employees have the correct Utah licenses. 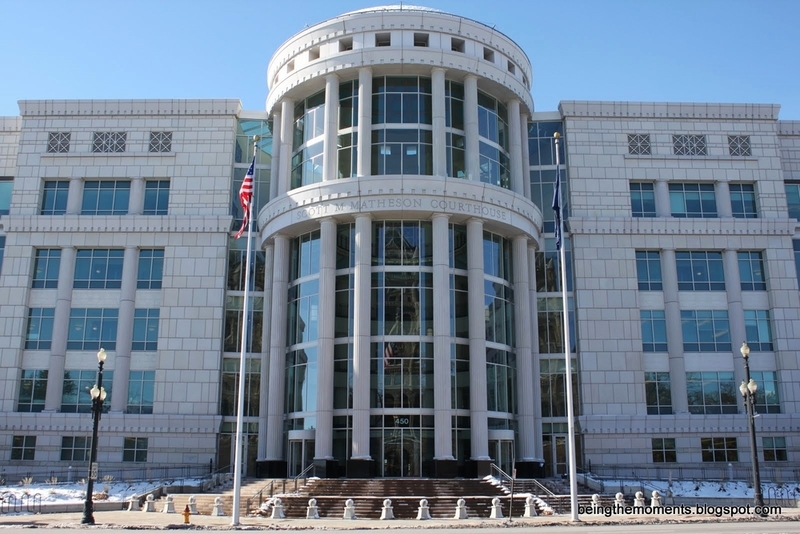 Aside from licensing, Utah dentists must consider Utah employment law and federal employment law when interviewing, hiring great great fits, and firing not-so-great fits. As Utah dental attorneys, we can help you navigate the employment process. Hiring right is one of the smartest things you can do for your growing Utah dental practice. Contact us and we'll help you navigate federal and Utah employment law. Minimize your legal risk. Speak with a Utah dental attorney. Doctors assume legal risk whenever they treat a patient. And that risk can be costly. So take the steps to minimize (or eliminate) it. We're skilled Utah dental attorneys and can help you identify and eliminate your legal liabilities. We can assist you in drafting effective patient consent agreements that protect your interests and your patients' rights. Proper compliance also minimizes your legal risk. We understand regulations and can review your procedures to ensure they comply with both federal and Utah dental regulations. Contact us for a free risk assessment. HIPAA is a body of federal law that imposes privacy, security, and breach notification duties on health care providers. HIPAA applies to Utah dental practices if they transmit electronic transactions like submitting an electronic claim to a dental plan. If HIPAA applies to your Utah dental practice, you'll need to take the proper steps to comply. To comply, you'll need to: create a HIPA compliance team, delegate tasks, devise privacy-focused policies and procedures, and perform a HIPAA risk assessment. As Utah dental attorneys we can help you with your HIPAA compliance. Contact us and we'll provide you with a free preliminary HIPAA risk assessment. It's a great place to start. We can also advise you on any other applicable federal laws. The Utah Division of Occupational and Professional Licensing ("DOPL") oversees dental licensing and discipline within the State of Utah. Additionally DOPL regulates anesthesia permitting and compliance. As Utah dental attorneys we can help you understand DOPL requirements and ensure your DOPL compliance. The Utah Dentist and Dental Hygienist Practicing Act outlines the rules governing Utah's dental profession. The Act and its associated Rule apply to all Utah dentists. To avoid professional discipline (and potential malpractice liability) Utah dentist should understand this body of law. As Utah dental attorneys we counsel with you on Utah's dental practice regulations. As with your HIPAA compliance, we're happy to conduct a free preliminary risk assessment. Contact us for scheduling. Dentistry is a valuable service that deserves a valuable return. You didn't spend a decade in school to work for free. But low revenues are hard to avoid unless you bill and collect effectively. We're Utah dental attorneys and understand the legal complexities of medicare, medicaid, and private insurance. We can help you bill effectively and capture value from your challenged claims. And when your receivables are past due, we can collect your money quickly. After all, you cannot pay your bills with accounts receivable alone.